We're huge Houston sports fans: Astros, Rockets, and Texans. 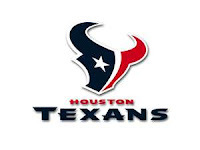 This is an especially exciting time to be a Houston Texans football fan. After suffering through some pretty miserable seasons the past few years, we're finally going to be able to cheer for our team in the playoffs this Saturday!!! Despite tons of injuries this season, the Texans have managed to win their division and will host a wild card playoff game on Saturday. We'll be watching on TV here in San Antonio, which means we'll need some good football snacks to munch on. I tried out a recipe for yesterday's game that's definitely "playoff caliber" and will be served for our playoff-watching party. I found a recipe that rolled up a bacon-infused cream cheese mixture inside refrigerated crescent rolls. I wondered if I could up the wow factor of the original recipe just a bit...and also make them easier to assemble. My solution was to add a bit of Cajun seasoning and some mozzarella cheese to the basic recipe...and use crescent rounds as cups to hold the filling rather than spreading and rolling. Less prep time is always a good thing on game day. The crescent rounds came out great! Step 1: Preheat oven to 400. Combine the following ingredients in a bowl: 4 ounces softened cream cheese, 5 slices cooked crumbled bacon, 1/4 cup finely chopped onion, 1 tbs. chopped parsley, 1 tsp. Cajun seasoning, and 1/3 cup grated parmesan. If the cream cheese is soft enough, a sturdy spoon will do the job. Step 2: Place 8 rounds of Pillsbury crescent rounds on a cookie sheet lined with parchment. Press down in the middle and the sides to create a well in each of the crescents. Spoon 1.5 tsp. of the cream cheese filling into each round. Sprinkle with Cajun seasoning and top each round with a bit of mozzarella cheese. Step 3: Bake for 12-15 minutes, until the crescents are golden and the cheese is melted and golden brown. Remove to a plate to cool for a few minutes before you dig in. That melted cream cheese is like lava, and you don't want to burn your tongue during the big game!!! These little crescent round were a huge hit! The filling is creamy and full of bacon flavor...and the mozzarella cheese gave the crescents a great cheesy flavor. Since we love spice, the Cajun spice is what really sent these crescent rounds over the top for us. This recipe makes 8 rounds, but it's easily doubled by using an entire 8-ounce package of cream cheese and double the rest of the ingredients.